The free partition manager displayed a list of all the storage devices it detected on our system in a center pane on the display window. The list provided details about the drives, including disc type, file system, status and used and free space. Create your own personalized menu to launch your programs, Windows apps, documents, websites, etc… I am a lover of application launchers and can tell you that “Quick Access Popup”, is a good one and that the developer has put heart into this. Squeak #1 –(Official Windows 8.1 Release): Today is the day that Microsoft will be unleashing Windows 8.1 via the Microsoft Store. If you are currently using Windows 8, you can upgrade to 8.1. Many of us depend on controlling the sound volume on our computers by adjusting the knob on the speakers themselves or through a dedicated controller on the keyboard. Today, I want to share with you a small utility, called SimpleSndVol, that installs an icon in the system tray where you can, with minimal effort, manage the sound volume and balance to your speakers. Simply click on the icon and the following interface pops up with sliders that you can move around to make volume and balance adjustments. What I especially like about SimpleSndVol, is that you can hover the mouse pointer over the icon and use the mousewheel to raise or lower the volume; plus, by performing a middle click will cause the sound to mute. If you right mouse click on the SimpleSndVol tray icon, you will presented with a menu where you can open various system sound controller utilities on your computer (such as the volume mixer, sound applet and volume control options), the SimpleSndVol settings, and an IconSet that give you the ability to change the tray icon. My favorite icon is the one labelled “Triangl [Update]”. There are also some optional hotkey functions built-in if you prefer controlling the sound volume through the keyboard. All-in-All, SimpleSndVol is one of my favorite sound utilities that is a work in progress that works nicely on Windows XP/7 and 8. I have drafted articles in the past which featured various utilities to use to recover your software product keys. To name a few there was LicenseCrawler, ProduKey (by NirSoft), AND SIW -System Information for Windows. Today I found another one, called Magical Jelly Bean Keyfinder, that you can add to this arsenal. 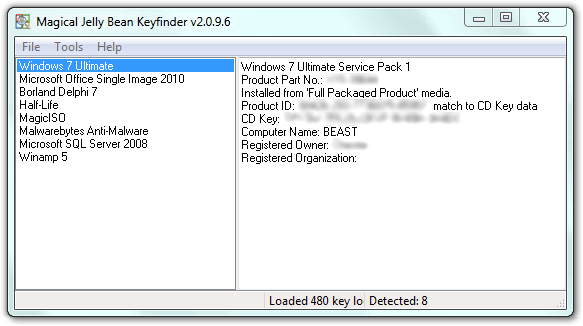 The Magical Jelly Bean Keyfinder is a freeware utility that retrieves your Product Key (cd key) used to install windows from your registry (plus over 300 other software products). It also has a community-updated configuration file that retrieves product keys for many other applications. Another feature is the ability to retrieve product keys from unbootable Windows installations. There is nothing more frustrating than when you go to install software that you paid good money for and cannot find the product key to install that software. As a matter of fact, in the real world of computing, and I have helped many; most people fail to keep the product keys and in many cases cannot even locate the CD’s. It may be years, during the operation of your computer that you may need the CD’s and the product keys; therefore, GENERAL RULE OF THUMB — Keep those CD’s and Product Keys together in one place so that you will have them available in the event a re-install is required. If you are like me, you probably fiddle with the volume control on your computer or speakers on a frequent basis. Some keyboards already have a volume control built in; whereas the standard keyboard does not. On top of that, to regulate the volume you are required to shoot for the small volume control icon in the system tray to bring up the volume controls which can be like shooting for turkeys in a turkey shoot. To make life easier and to give some pizazz to the volume control function I installed a new utility called Volume2. Volume2 volume control allows the user to control the volume with the mouse and/or through the usage of hot keys. The control is performed by rotating the mouse wheel in different zones of the desktop, such as the task bar, system tray, desktop, window title, the edges of the screen. In my particular case I position my mouse pointer on the Windows taskbar and use the mouse wheel to raise or lower the volume. Where the pizazz is in Volume2 is in the skins. Yes , you can select various skins that will display the volume control as you regulate it. Very nice application with many customization options. The hardest thing I found with this application is that the website is in Russian and the download link is difficult to locate. Since I use Google Chrome I was able to translate the page to English and the direct link for the download (for this version) is [HERE] . I anticipate the author to continue developing this app; therefore, you many have to select a different download link from the main page [HERE] . Jumping through the hoops for Volume2 is worth it and maybe the developer will see this article and set up a section on the site that can be easily recognizable for direct downloads. In the end, Volume2 is the nicest volume controller I have come across and highly recommend it. Here is something that you all will like. 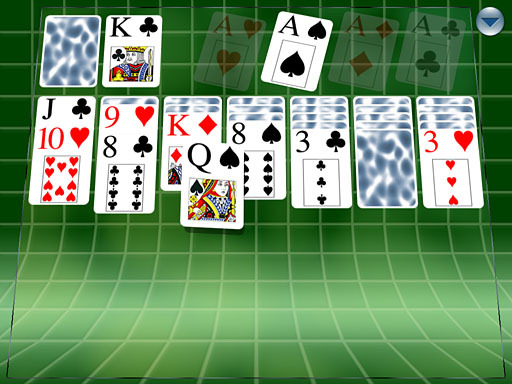 It is solitaire in 3D that is available for Windows, Apple Macintosh, iPod, iPhone and iPad. It is called Klondike Forever… The Windows version is a portable app where no install is required. Klondike Forever is by far my most favorite computer version of solitaire. With computers being mainstreamed in people’s homes for more than 10 years it still amazes me that people do not realize the gold mine that is available in FREE software. To put this in perspective, I have three computers in my home and all three, with the exception of one, have nothing on them but FREE software apps. The one exception is that I have Microsoft Office installed on my main PC, due I need it for my job; otherwise, all the other apps are FREE. To put this further in perspective, any software you see reviewed on my blog, is FREE software. If you are interested in getting a start on using FREE software, Makeuseof.com has compiled a list of the best 119 FREE Windows programs. They have conveniently categorized the apps to make navigation easy. You can preview those categories below and while you are on their site, check out their other articles. Great site; highly recommended! The Windows clipboard is that hidden data storage area that is used to temporarily store data that gives you the ability to cut, copy and paste between applications. The Windows clipboard is limited in that it is a one time cut/copy and paste operation that does not allow for or save multiple instances of the same. To resolve this limitation there are third party software solutions that will allow you to store more than one instance of a cut/copy and paste operation. One such (FREE) application is called PasteCopy.Net . I have featured this app on here before and it is definitely worth a repeat, due that it continues to get better. PasteCopy.Net is a portable clipboard manager that enhances and (in essence) enlarges the capacity of the Windows Clipboard operations by supporting multiple cut/copy and paste operations. This app will handle multiple cut/copy and paste operations of graphic and/or text and is very useful; especially if you are a blogger or someone that performs a great deal of editing (e.g. html editor, graphic editor, author). The cool factor about this clipboard manager is that you can arrange the items that you accumulate into categories which makes locating clips a snap. PasteCopy.NET does not require any installation, and does not leave a trace on the computer; however, the app is dependent on .NET 2.0 or higher (which is a component that is commonly installed on today’s PCs). Ever wonder how much free disk space you have left on your computer? I am talking about the free space available on your hard disk to store files (such as photos, music, documents, etc.). If you are the everyday casual computer user and primarily spend your computer time on the internet, I venture to say you have a ton of free disk space available and most likely will never run out; however, if you are a computer user that saves everything from videos, movies, photos, documents, etc… then you may find that your disk space is shrinking rapidly. The problem is that most people are totally unaware of the capacity of their hard drives and how that relates to file storage. A nice application to help you gauge where you are at in terms of disk space and to tell you where your disk space is being consumed is the FREE utility called RidNacs . With RidNacs you can scan and analyze individual drives and folders to get a graphical bar percentage result of where the diskspace hogs are located; even down to the individual files. You can even export and print the results for future comparative analysis. I could never figure out why Microsoft never offered a dual paned or tabbed view interface option in Windows Explorer. Managing your files and folders in those types of interfaces are so much easier to use; especially if you are a power user. There are numerous third party options available; however, none really mimic the Windows Explorer interface, until Windows Double Explorer came on the scene. Windows Double Explorer is an open source utilitly that is engineered (for Windows 7) to manage two or more Windows Explorer interfaces in one application. Windows Double Explorer also features a vertical or horizontal dual pane interface in conjunction with a tabbed interface. Once you have Windows Double Explorer up and running; and configured to your liking, I think you will become hooked. Windows Double Explorer is currently in the beta stage of development and is engineered to work as a Windows 7 application. There is no install to this application. Simply download and run with it. If you, or someone you know, is visually impaired; or you are like me, getting weak in the eyes, then give OneLoupe a try. OneLoupe is a software driven virtual magnifier for your PC that works just like a real magnifying glass. There is no install file to OneLoupe. Simply download and run (less than 40K file size). Once you have OneLoupe up on the screen, you can use the following commands (in the screenshot) to manipulate how OneLoupe works. For example, when I use OneLoupe, I will use the mouse wheel to zoom in and out, will hit the letter “T” on the keyboard to minimize OneLoupe to the system tray and will use the “left-right-up-down arrow keys” on the keyboard to change the dimensions of OneLoupe. If you own a digital camera don’t be fooled into thinking that you are at the mercy of the software that oftentimes ships with the camera. There are many other numerous software options available (for FREE) that will make your life much easier. For example, the simple task of resizing and converting a photo should be just that, “a simple task”; not a task where you are sorting through menus to find what you need to accomplish the task. A FREE, FAST and EASY option, that I recently found for resizing photos, is called Photo Magician. Photo Magician is a small and easy to use program that allows you to quickly scale and convert your images. It will enable you to easily process several files at once and create custom conversion profiles. The supported formats include common ones like BMP, GIF, JPG, PNG and TIF but the application can handles some that are more special like RAW images, DDS, PCX, PSD, TARGA, WBMP and WMF. There is also a drag and drop quick convert mode to make the conversion process even faster and easier. As stated earlier there are numerous FREE software options out there to make your life with your photos (and digital camera) much easier and Photo Magician is one such example. In my testing of Photo Magician I found it to be one of the fastest image converters I have experienced. Keep an eye on this one; it will surely get even better. DClock 2 is a desktop digital clock for your computer that is an ideal time companion. What makes this app unique is that it is a portable app that can be carried with you on your flash drive to be used on any computer that you visit. DClock 2 is currently in the “release candidate” stage of development. If you do not feel comfortable using software that is still being tested, there is the first version of DClock available [here] , however it lacks the features as reflected below. DClock 2 is somewhat customizable in that you can modify the size and colors. One feature that would be nice is if it could be made transparent; otherwise, a nice little app that serves a good purpose. Besides, I love software clocks and this is another one to add to my collection. This article is a follow-up to the popular article “Creating a personalized font from your own handwriting…” which used the online service called FontCapture . Today I came across another site called Pilot Handwriting that also provides an online method to capture your handwriting (either via webcam, scanner or digital camera) to create your own personalized font. When you get to the site [click here] , which is very attractive, simply click on the arrows and you will be guided through the entire process. Learning file management on your computer, to me, is a “must learn” function. It not only teaches you how to organize and manage your files (and folders); it also teaches you about the Windows hierarchy design and pathing schemes. Learn file management and it all starts making sense. If you are into file management you will soon learn that Windows Explorer is not a premier file manager. I sometimes think Microsoft should take some lessons on file management themselves and start thinking more from the user’s level. Windows Explorer is basically a flat file manager that lacks dual pane functionality and ready access to tools needed for file management tasks. Years ago, in the DOS days, a good file manager app was a necessity (from a tech standpoint) in order to accomplish specific tasks. Thankfully, software developers have come to the rescue and are actively developing alternatives to using Windows Explorer. For example, I am an avid user of QDir; however, another option that recently crossed my plate, that I am currently toying with, is called NexusFile. The “cool factor” to this file manager is the (default) appearance. The appearance is a black background with colorful text, which to some may be a turn off. As I continued to toy around with NexusFile, the more I enjoyed it. It is fast, provides dual pane functionality, tabbed browsing, is easy to read, has built in FTP, numerous tools (such as split/join files, compare folders, disk cleanup, add comments, change attributes, etc.) and is available as a portable app. The more you use it, the more it grows on you! As a matter of fact it is apps like this, that are a little different, that draws me right in. The only issue I experienced, thus far, was that I was unable to launch the app on a PC where I did not have administrative rights. If you want to give NexusFile a spin, you can get it [ HERE ] . Here is a no frills (no install) status monitor, called Desktop Info, that is useful if you are into monitoring the operating status of your PC (e.g. cpu usage, low disk space, network connectivity, memory usage, etc…). The status of your PC can be displayed on your desktop with little or no memory or cpu usage. For example, below is a screenshot from the desktop of my PC with Desktop Info running. When running, Desktop Info displays real-time information about the operation of your PC on your desktop with a transparent background. This app could be most useful if you are running numerous PCs (or server farm) to visually identify the operating status of your equipment. Once Desktop Info is running on your PC and displayed on the desktop, you can close it by right mouse clicking anywhere on top of the display info and by selecting quit on the menu. There are numerous options available to modify the output of information displayed by modifying the “ini” file that is in the same directory (or folder) as the application. I encourage you to read the read.me file that is included to learn all that you can do with this little app. Need a calculator for your flash drive (or computer) that is FREE, looks nice, continues to improve and is powerful? Then look no further… My “go to” calculator on my PC (and flash drive) is the free version of ESBCalc. Also includes customizing of the Colors’ & Fonts used, as well as customizing how the Hints (ToolTips) appear. What I like about ESBCalc is that the developers continue to make improvements to this little gem and (as mentioned) there is a downloadable portable app version, as well. ESBCalc will run on any Windows version from Windows 98 to Windows 7. If you are a netbook or notebook computer owner, you well know that navigating the keyboard and touchpad can be a challenge at times; especially when it comes to launching your applications from the Windows Start Menu. One solution that I use on my Netbook to launch my programs is a software application called ControlPad. If you are a follower of the blog you may remember the article “Using your numeric keypad as a launcher…” that introduced ControlPad and its’ features. ControlPad is an app that is primarily designed to use the numeric keypad on your computer to launch applications or execute Windows commands. Of course on a netbook (or notebook PC) using the numeric keypad often results in an act of clumsiness. The solution, however, is built right into ControlPad. You can go into the options settings and enable Laptop Mode where you hit the F12 key prior to launching your preconfigured commands. What I have found with ControlPad is that you are not limited to using just numbers.You can use text as well. For example on my netbook to launch Google Chrome, I have ControlPad configured where I hit “F12”, then type Chrome. ControlPad is a very cool application, with sound effects, that is designed for the techies like myself. The more you fiddle with it, the more you will like it. A portable version is available, as well. If you are an avid follower of software, then you have to know about CDBurnerXP. 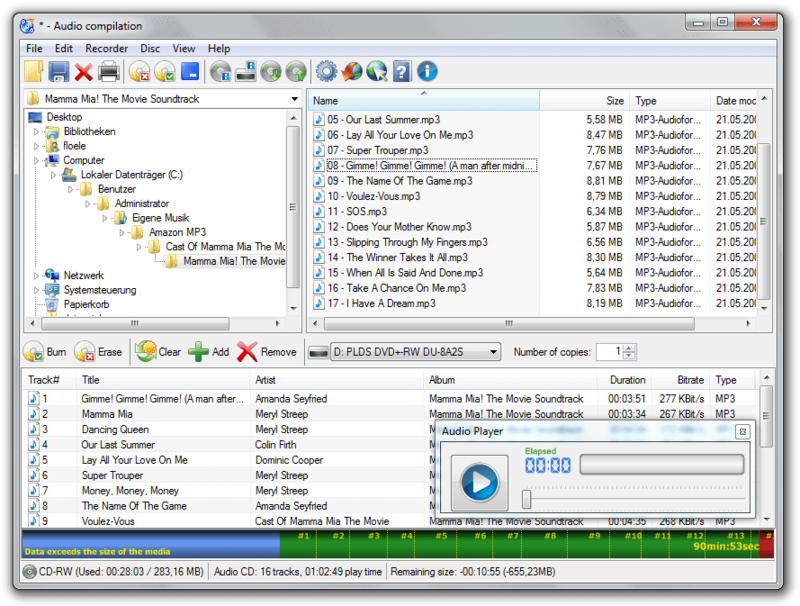 This software application is the primary application that I use to burn CDs, ISOs DVDs (including Blu-Ray and HD-DVDs). In my opinion it is as good as Nero with development and improvements being made all of the time. The “cool factor” about this application is that, not only is there a full install version for on your PC; there is also a portable version that you can install on your flash drive. So, if you are looking for a “quality” CD burner application to carry with you, that can be used on Windows 2000/XP/2003 Server/Vista/2008/Win7 (x86 / x64), then CDBurnerXP is the one to get. To get the portable version of CDBurnerXP, click [ HERE ] AND after the page loads, click on “more download options” . You can also download the “full install” version [ HERE ]. Using an analysis tool to determine disk usage on your hard drives, external drives, flash drives, is nothing new; however, I came across a new style disk space analyzer, called Disk Space Fan that just plain looks good. Now, looking good and getting the job done is two different matters, but Disk Space Fan has both areas covered. Disk Space Fan is a freeware and it is a nice disk space analysis tool for Windows. It helps you to free up disk space by quickly finding and deleting big, useless files. It displays disk space usage with a nice chart. You can navigate the folders easily with the chart. It is also intergrated with Windows Explorer to open, delete and browse files or folders. Fantastic visualization – Disk visualization, fantastic animation, to manage disk space is not a dull work at all. Finding useless files easily – Folders and files are sorted by their size. You can catch “bad guys” easily. Integrated with Windows Explorer – Browse, open, and delete, all are same as explorer. Get file details quickly. Disk Space Fan is FREE; however, there is a Pro version that gives you the power to track down duplicate files. Disk Space Fan will run on Windows XP Service Pack 2, or above, Vista, or Windows 7. You are probably wondering how is that possible. Well the possibility is real with NatGeo Wallpaper Downloader . NatGeo Wallpaper Downloader is a FREE and PORTABLE app that will automatically download (in a batch) images that have been featured in the magazine and on the website of National Geographic. National Geographic, the official journal of the National Geographic Society, has been publishing the journal (or magazine) since 1888. The collection of photographs is phenomenal and are an excellent and safe source for wallpaper backgrounds for your computer. There are numerous file (and folder) encryption programs that are available to protect sensitive files on your computer; however, most people do not understand their purpose. If you are carrying files around on a flash drive that are potentially sensitive in nature, OR maintaining sensitive files on a PC that is accessible by many people, OR storing sensitive files on the internet; then it is important to protect the content of those files from prying eyes. One way of doing that is through file encryption. Encryption software is designed to make your files unreadable (or accessible) to other people. The encryption process usually prompts you to create a key (or password) prior to the software making the file(s) unreadable. As a result, in order to make the file readable again (through a process called decryption) you must enter the password that you originally provided. One of my favorite encryption programs, that is FREE, small in file size (< 200 KB), and is portable; is Drag ‘n Crypt ULTRA. The “cool factor” to this program is that when you launch the program, a small target (or drop zone) appears on your desktop (see below). To encrypt a file (or folder), you simply drag the file (or folder) to the target (or drop zone) and drop it. Drag ‘n Crypt Ultra will go to work automatically, prompt you for a password, and then create the encrypted file. As an added level of security, the source file is erased to prevent someone from restoring the file using data recovery software (which is especially easy on a flash drive). To decrypt the file you simply drag the file you originally encrypted to the target (or drop zone), enter your password, and the file will be restored to its’ original condition. My (2)-two favorite options is “create file association” and “Use Context Menu”. With the “file association” option activated you can open your encrypted files by simply mouse clicking on the file(s) and if you have the “context menu” option activated you can perform your file encryption operations through the Windows Explorer context menu, which is typically activated by a right mouse click on a file (or folder). Overall, Drag ‘n Crypt is fast, offers decent protection ( Twofish coding algorithm) and does not require installation (can be carried and used on your flash drive). I especially use this program to protect files on my flash drive and to protect files that I store online. If you are a regular reader of the blog you may have read the following articles about DNS (Domain Name System) and how changing your default DNS settings on your PC to a service such as OpenDNS or Google’s Public DNS can result in a faster (and safer) internet experience. For example I use the DNS settings that is provided by OpenDNS on all of my computers. When I composed those articles I wondered how many people actually followed up and changed their DNS settings, for fear they would mess up their computers? Today I ran across a small software utility called DNS Jumper that you simply download, run, and mouse click a button to select which DNS service you would like to use. This little utility does all the work for you. If you desire to return to your default DNS settings, you simply mouse click on DNS Default and your settings revert to the original settings. This utility is portable and makes for a nice addition to the tech toolbox. I have mentioned it before; I love program launchers over using the Windows Start Menu. The Start Menu, over a period of time, can end up becoming a convoluted mess that is counterproductive; especially if you do not know how to organize the menu items. This is where program launchers can help. Not only are many of them customizable and attractive, but they literally can save you mouse clicks when launching your favorite applications. I have tested and tried them all; except one. 8start has been around for over 5 years, which in itself is a testimony of survival; however, every time when I crossed paths with 8start I found it to be quite challenging to configure and would let it go. Once again, 8start has crossed my path and this time I really decided to learn this software application and give it my all; and, boy I am glad I did. Yes, it is somewhat a different type of program launcher when it comes to building your menus; however, once you get it, you will be quite impressed. For me, I went from not having the patience to learn 8start, to becoming obsessed with it. From – Andy Goh; the creator of 8start: 8start Launcher is a free portable application launcher, I created 8start Launcher because I believe there should be a convenient way to access application than using windows start menu, quick launch and desktop. Windows desktop look messy if too many shortcuts in the desktop, windows start menu become hard to access if too many applications installed in the computer, windows quick launch not suitable to handle too many shortcuts. I do not want to even begin to explain “how to” use and configure 8Start, but if you are truly interested, the basics are outlined for you [here] . A “cool factor” to 8Start is that it is skinnable. In other words you can change the outward appearance by using many of the skins that is available on the web site [ Link ] . For example, I went with the Fabio Longo iPhone look. Other “cool factors” to 8Start are the built in Tree Notes Feature and the Countdown timer. Once I learned how to use 8start to create my categories, groups, application links, menu buttons and change the skin I ended up with what I think is a very modernistic program launcher (see below). My 8start launcher has the iPhone look complete with (8)-eight categories. I configured 8start to magically appear when I click my middle mouse button. using 8start and the Fabio Longo iPhone skin. Overall, my battle to try 8start is over. This program launcher rocks! I just hope the developer continues with this project and continues to improve 8start. Portable with relative path defined supported, can be run in flash drive or install in harddisk. Auto download website favicon to local for url type button. Url icon still available if the internet cached have been deleted. Opacity of notes is adjustable on the fly, ease for you to read through the content behind the note while editing the note. Each Tree has its own Path for storing notes, notes can be saved in File Server, Flash Drive, Portable Device… Combination of notes storage path is possible. Each Tree have its’ own note color , ease for you to differential type of notes, e.g. Notes in Server, Notes for research Linux…. 200+ beautiful icons included, you can add in your prefer icons in icons library. .ico and .png format is supported. System Explorer is FREE task manager program that provides detailed information about the operating status of your PC and is an excellent tool to include in your tech toolbox (portable version available). Task Manager programs, such as System Explorer, are applications that typically provide detailed information about the stability of your computer (such as performance and running applications, processes and CPU usage, commit charge and memory information, network activity and statistics, logged-in users, and system services). Typically we get to the Windows Task Manager by hitting the “CTRL+ALT+DEL” hotkey combo. Most users typically go to the Task Manager in Windows to halt programs that are not playing well. Launcher (“New Task…” dialog) with integrated AutoSearch and AutoCompletion. **NEW** Security feature with online File Reviews. A good source for reviews, of FREE Software, is cnet. Reflected below is a clip from cnet – The Download Blog that I encourage you to visit. The article gives you a good run down of some of the new (popular) software that was developed in 2009. This past year was not the best for new software developments. There were no surprising game-changers like Google Chrome in 2008, and no watershed moments. However, that doesn’t mean there weren’t some cool releases. I suspect that much of the best software of 2009 winds up becoming the foundation for innovations in 2010.